Packaging protects a product from damage and ensures that the product can be moved through distribution channels and shipped to the end-users. E-commerce generally refers to the buying and selling of goods & services online. All the distributions and transactions occur in the form of business-to-business, business-to-consumer, consumer-to-consumer, or consumer-to-business. The benefits of e-commerce include wide availability of goods & services, speed of access, and global reach. Demand for retail e-commerce packaging is projected to expand due to the rise of online shopping for its convenience. Furthermore, increasing environmental awareness among consumers and growing importance for effective packaging designs have propelled key players to improve different types of packaging. The market is driven by various factors such as an increase in online shopping, growing demand for packaged food, and rapid growth in the electronic sector. The latest trend shows that increasing online shopping, particularly in emerging regional markets, and availability of various products have boosted the overall e-commerce market, which, in turn, has pushed the demand for retail e-commerce packaging. Moreover, different designs, changing behavioral pattern of people, and increasing commitment to sustainability are some of the factors playing a crucial part in the growth of the retail e-commerce packaging market. 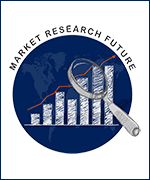 The key players of the global retail e-commerce packaging market are International Paper Company (U.S.), Mondi Group (U.S.), Packaging Corporation of America (U.S.), Klabin S.A. (Brazil), Georgia Pacific LLC (U.K), DS Smith Plc. (U.K), Smurfit Kappa Group (Ireland), Nippon Paper Industries (Japan), Rengo Co. Ltd (Japan), and Orora Packaging Australia Pty Ltd (Australia). Global retail e-commerce packaging market is estimated to reach USD 21669.7 million by 2022. By material, protective packaging segment dominated the global retail e-commerce packaging market, with a share of 34.8% in 2015, in terms of value. It is projected to witness 6.52% CAGR during the forecast period. By application, electronics & consumer goods segment dominated the global retail e-commerce packaging market with a share of 20.6% in 2015, in terms of value. It is projected to register a CAGR of 6.15% during the forecast period. Geographically, Asia Pacific accounted for the largest share of 33.4% in the global retail e-commerce packaging market in 2015. Asia Pacific has emerged as the world’s largest e-commerce hub. The region has witnessed a rapid growth in retail e-commerce due to the rising middle-class population in China, India, and Indonesia, along with the increase in popularity of mobile gadgets. China alone accounts for 40% of the world’s retail e-commerce sales. The rapid growth in Asia Pacific is mainly due to faster internet service and increased use of mobile devices. All these factors will result in the growth of retail e-commerce packaging market. North America e-commerce market has been continuously evolving since the past years. The region has witnessed increased investment in R&D and product innovation as far as packaging is concerned. Furthermore, the stringent food safety policies in the U.S. and Canada drive the demand for e-commerce packaging in the food & beverage sector. In North America, the U.S. is expected to dominate the market due to rise in mobile shopping. Canada is estimated to register a 5.39% CAGR during the forecast period.